For the bribe takers, the bill proposes to increase the punishment to a minimum of three years of imprisonment, which may extend to seven years, besides fine. 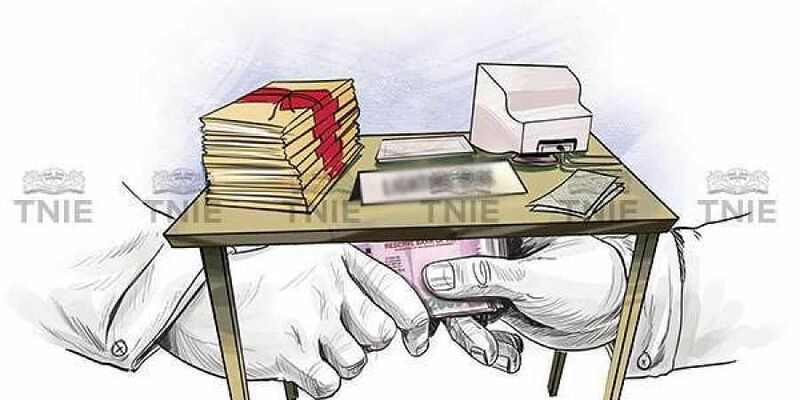 NEW DELHI: An anti-corruption bill that seeks to punish bribe givers for the first time with imprisonment of up to a maximum of seven years was passed on Thursday by Rajya Sabha. The Prevention of Corruption (Amendment) Bill, that amends certain provisions of a 30-year-old anti-corruption law, was passed by the Upper House unanimously with voice vote. "It is a historic anti-corruption legislation to check graft in the country," Minister of State for Personnel Jitendra Singh told PTI. He said the bill has many provisions to ensure speedy trial of corruption cases besides providing protection to bureaucrats, even after their retirement, from malicious complaints. "So overall, on the one hand the law against corruption has been made wide-based, on the other hand, the protection and safeguards of the functionaries have been made more effective," Singh said in the House. The Bill will now go to Lok Sabha. The bribe givers shall be punished up to seven years of imprisonment or with fine or both, according to the bill. Bribe givers are not covered in any of the domestic legislations to check corruption. Instances of corruption and provisions to punish the guilty are provided in the Prevention of Corruption Act, 1988. However, to protect persons who give bribe under coercion, the bill has provided that "the person so compelled" would have to report the matter to the law enforcement authority or investigative agency within seven days. With some members demanding that seven days time limit was too less, Singh assured the House that the government will consider extending this period. "A commercial organisation shall be guilty of an offence and shall be punishable with fine if any person associated with the commercial organisation, gives or promises to give, any undue advantage to a public servant," it said. "The Special Judge shall ensure the completion of the trials within a period of two years from the date of filing of the case," it said. The bill proposes a shield' for government employees, including those retired, from prosecution by making it mandatory for investigating agencies like the Central Bureau of Investigation (CBI) to take prior approval from competent authority before conducting any enquiry against them. "No police officer shall conduct any enquiry or investigation into any offence alleged to have been committed by a public servant under this Act, where the alleged offence is relatable to any recommendation made or decision taken by such public servant in discharge of his official functions or duties, without the previous approval," it said. The bill said such permission shall not be necessary for cases involving arrest of a person on the spot on the charge of accepting or attempting to accept any undue advantage for himself or for any other person. These amendments were first brought by the UPA government in 2013. The bill was then referred to the Parliamentary Standing Committee, the Law Commission and then in December 2015 to a select committee.The report of the select committee was submitted in 2016 and again the bill was moved in August 2017, but could not be taken up. Singh said the government might have to bring more amendments in future. During a discussion on the bill onh Thursday, Congress' deputy leader Anand Sharma sought to know why the Narendra Modi government had not yet appointed the anti-graft ombudsman Lokpal. Singh, however, said "it was beyond our control" because the Speaker could not acknowledge any party as opposition party due to their less seats. Congress has been complaining that its nominee Mallikarjun Kharge has not been made its full-fledged member of the Lokpal selection panel. Kharge is special invitee to the Prime Minister Narendra Modi-led selection panel. As per the Lokpal and Lokayukta Act, 2013, only the leader of the opposition (LoP) in Lok Sabha is a member of the selection committee. A party should have at least 55 seats or 10 per cent of the strength of Lok Sabha for its leader to get the LoP status. Congress is the largest opposition party but does not have the requisite number of seats to get the LoP post. Participating in the debate, Majeed Memon (NCP) said there is neither Lokpal nor Lokayuktas in many places and there is a need to look for an alternative body. Vivek K Tankha (Cong) said without being tied at three-tier judiciary system, all cases of MPs/MLAs/MLCs are being referred to a special courts following a Supreme Court order. He urged the government to seek clarification from the apex court on this matter. The Congress leader said there are ambiguities in certain sections that need to be addressed else there will be more litigation. V Vijaysai Reddy (YSRCP) said the courts have started considers MPs/MLAs/MLCs under the widened definition of 'public servant' defined under the 1998 law on prevention of corruption. Adequate security measures are to be provided as there would every possibility of harassment by the ruling party, he said. Reddy also said that there should be a time limit for granting approval for investigation. M V Rajeev Gowda (Cong) and Bhupender Singh (BJP) also spoke on the issue.